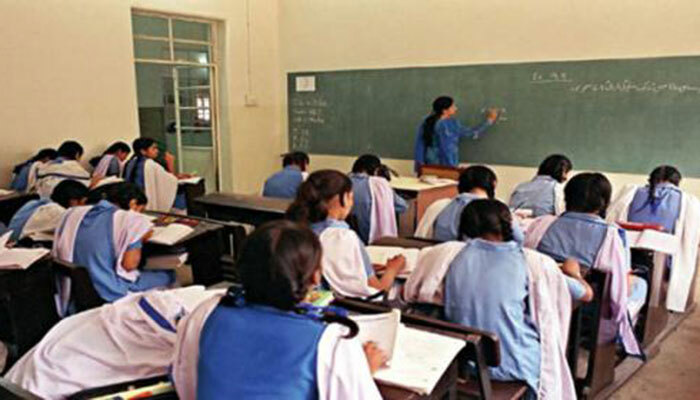 KARACHI: The Sindh government has approved life skills education to be integrated into the syllabus of secondary students (grade 6-9), the Sindh Education Department stated on Wednesday. The Sindh Education Department made the announcement through its official Twitter account. The department said that the life skills education is being imparted to the students of eight districts. The districts include Karachi, Hyderabad, Mirpurkhas, Umerkot, Khairpur, Nawabshah, Dadu, Shahdadkot. The government is trying to approve the subject to be included in primary classes as well ( grade 3-5). The notification stated that the provincial education department consulted with the civil society, teachers, parents and religious ulema to make the content according to the issues present in the Pakistani society. “Life skills based education content includes 19 modules which teach children to be able to protect themselves, personal hygiene, nutrition, human rights, protection from disease such as hepatitis, and that a boy and girl are equal and have equal rights. This information is critical if we want to move forward with social development and build a society, which is safer for our children and to prevent further tragedies like Kasur,” said the notification. It further mentioned that life skills based education is a part of the National Education Policy as well as the Youth Policy, enabling the students to gain knowledge in order to protect themselves.